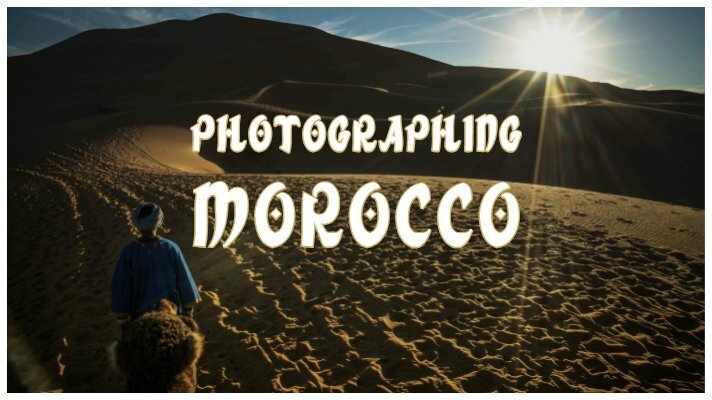 Are you getting ready for a Morocco travel photography tour? Planning a shot list before any photography tour is something I believe every photographer of any skill level should do. Professional photographers do it because they have to fulfill a set of content needs for a client contract. 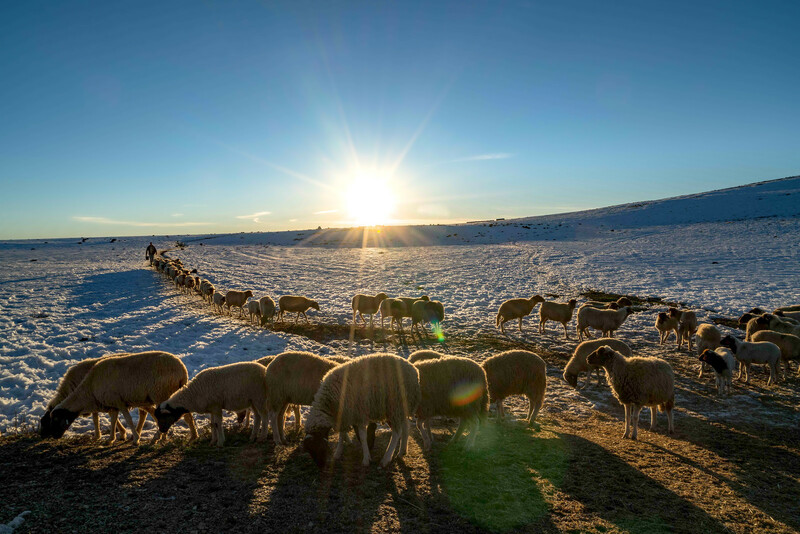 Even an amateur or hobbyist photographer shooting for fun will have a more satisfying trip when starting out with images in mind that you want to make during a trip. 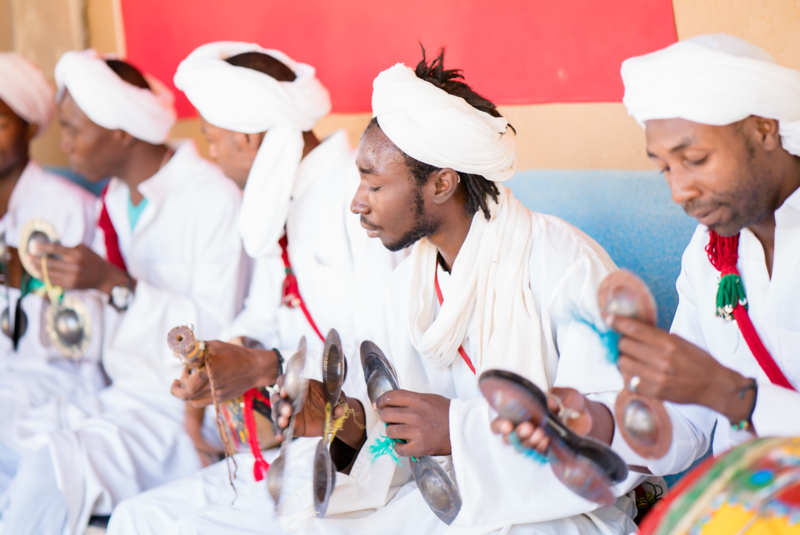 If you came across this article just looking for general travel tips for Morocco, grab this download with Morocco travel planning info. Identifying locations where I want to make photos is how I start every trip, and then I build my dates and transportation around gathering photos in those locations. Even the bike tours are planned in this way. 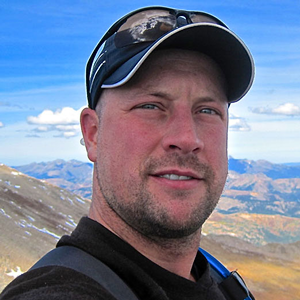 The locations of photo opportunities largely determine my destinations and routes for the guided bike tours. 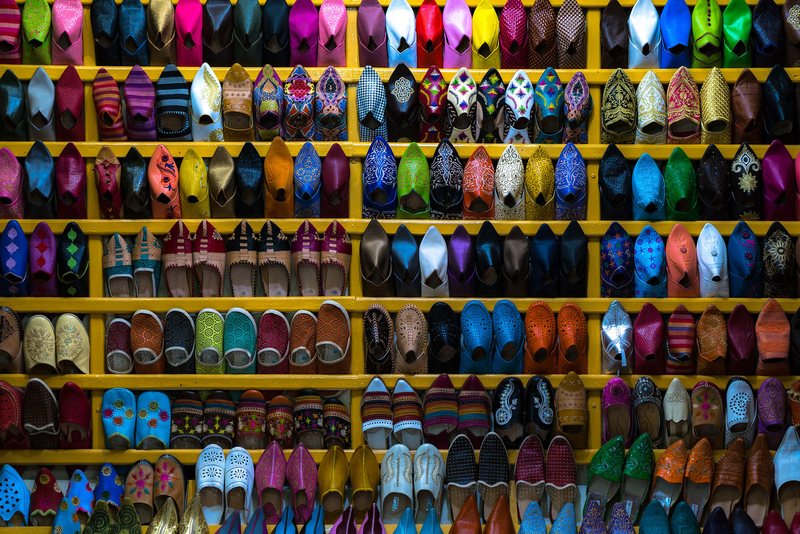 Since the core idea behind my photography gear packing list is to take the proper gear to make the photos we intend to create during a trip; what kind of photo opportunities should you be prepared for in Morocco? 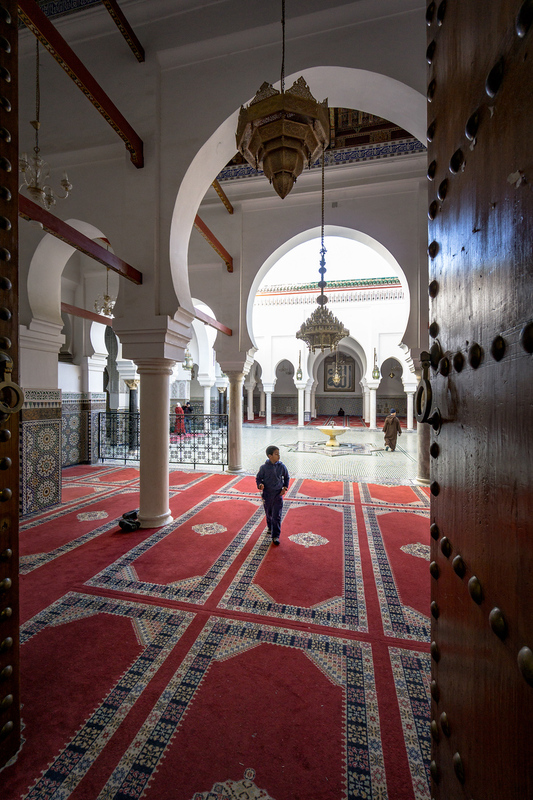 Let’s start with the broad stroke view of Morocco and move down through some details. 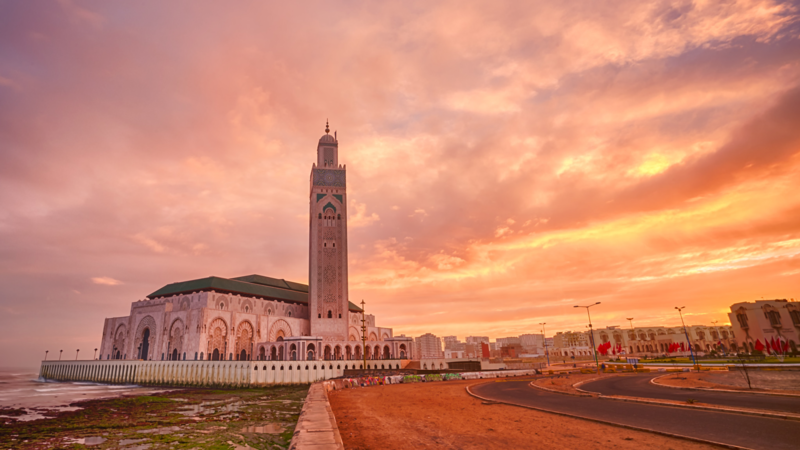 There are a few different cityscape options to be found throughout Morocco. 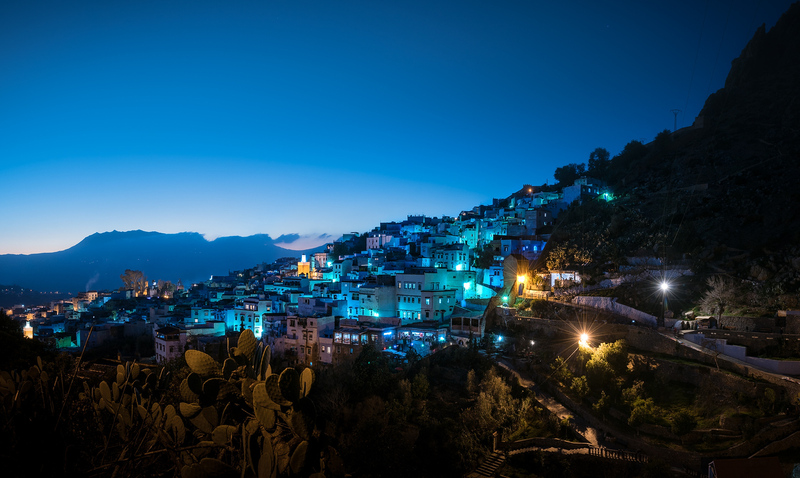 Chefchaouen is perhaps the most idyllic location I have been to in Morocco. Seen from afar, the closeness of the buildings and the randomness of the streets invites you to dive into and get lost in the city. For a photographer, the streets and of course the colors of this “blue city” are an inviting place to be lost with your camera. 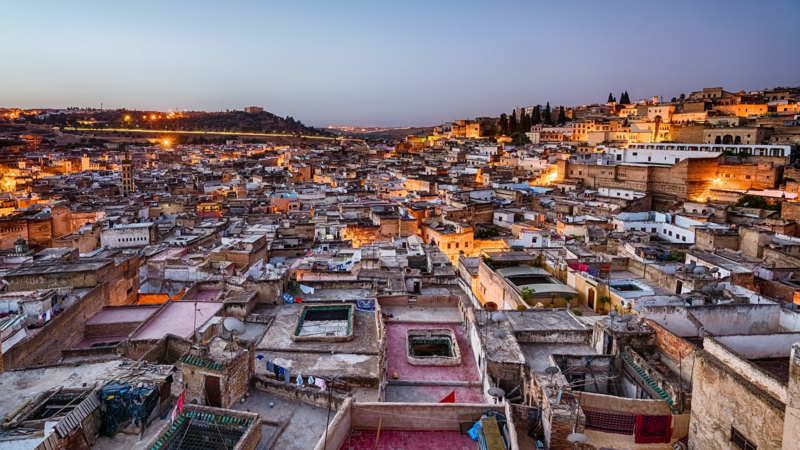 The overlooks on the city of Fes will give you the modern perspective of Morocco. 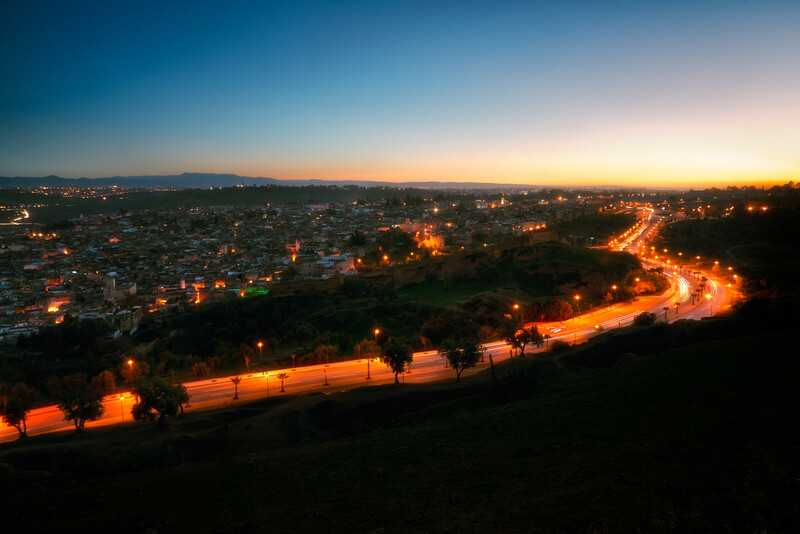 The perspective from the hill outside the city contrasts nicely with the history and old world roots that sustained this city through centuries which you’ll capture through lifestyle and architecture images later. 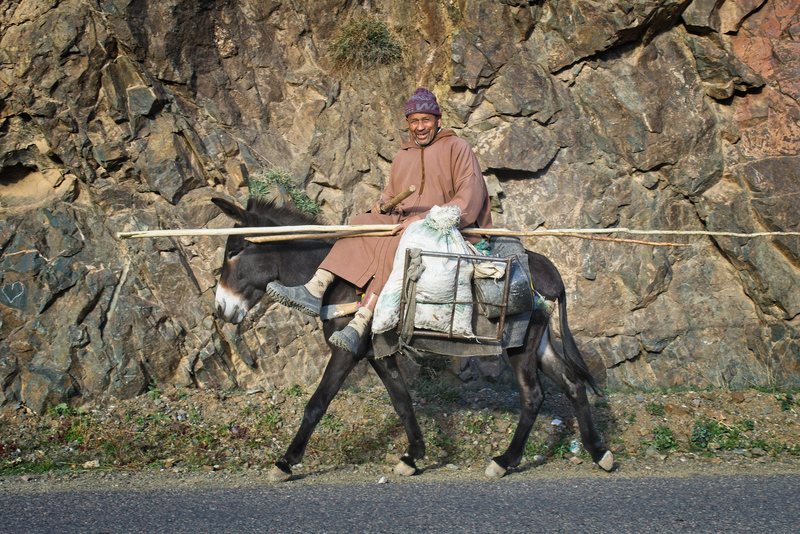 Throughout the country there are cities or settlements known as Ksars on the side of the mountains. 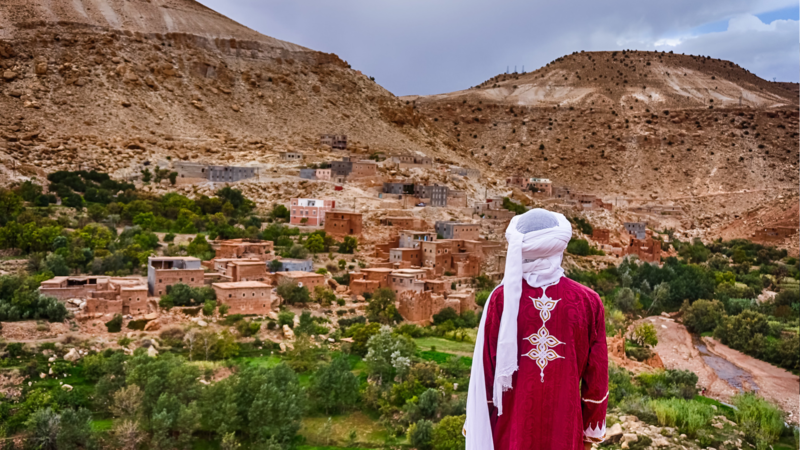 Ait Ben Haddou is the one you might have heard of. 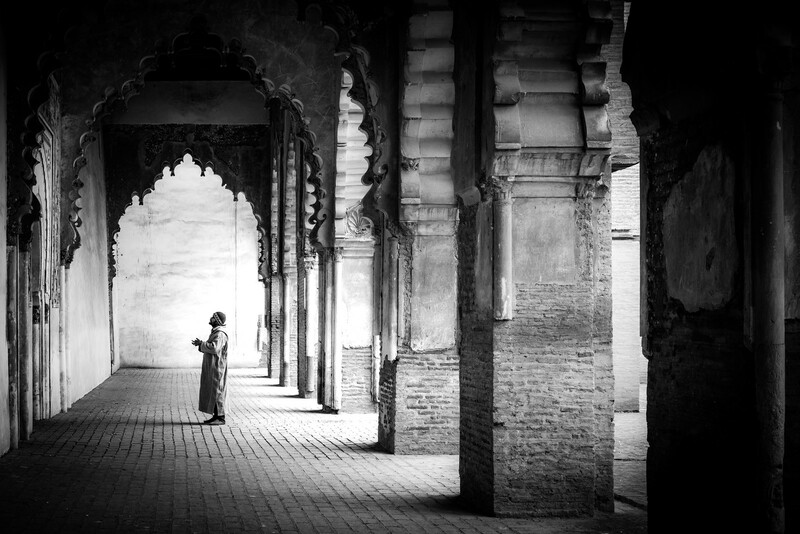 Some are elaborate and modern but most are old and occupied by people who have lived there since they were born. 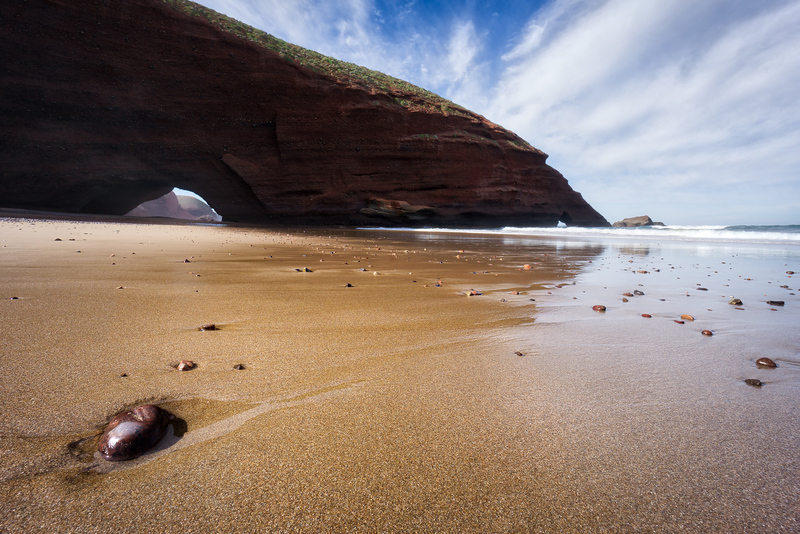 When you close your eyes and picture Morocco; what sort of landscape scenes flash across the back of your eyelids? Let me give you some ideas. 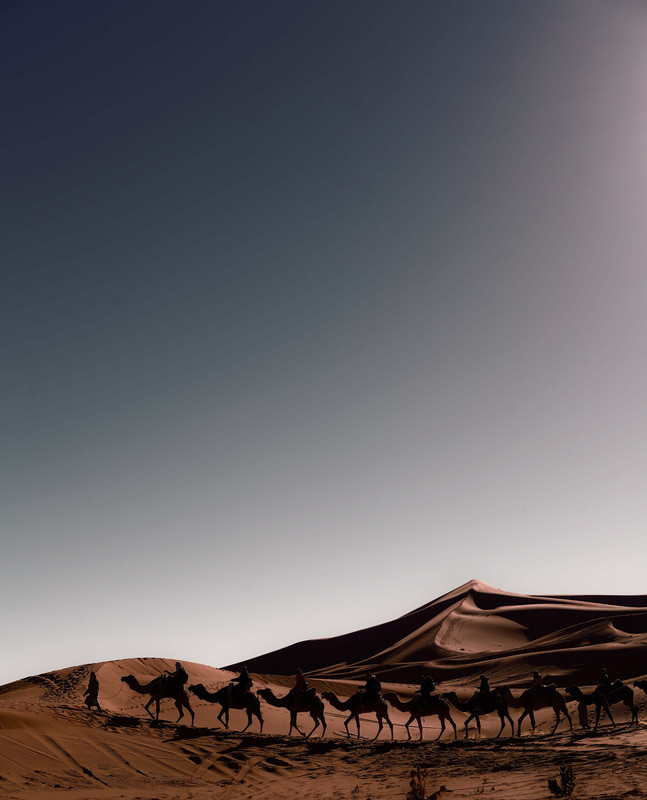 It’s not all desert as you might first think. 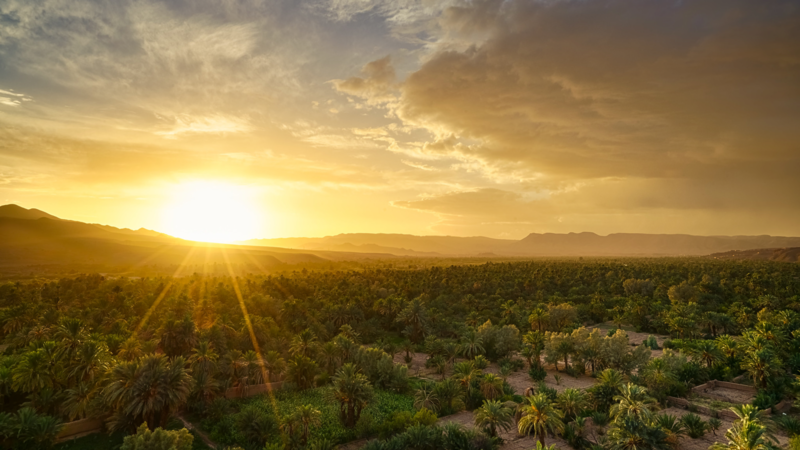 Moroccan landscape photo opportunities include desert, mountains, dunes, beach & surf, waterfalls, date palms, orange groves, and rolling green fields of olive orchards. 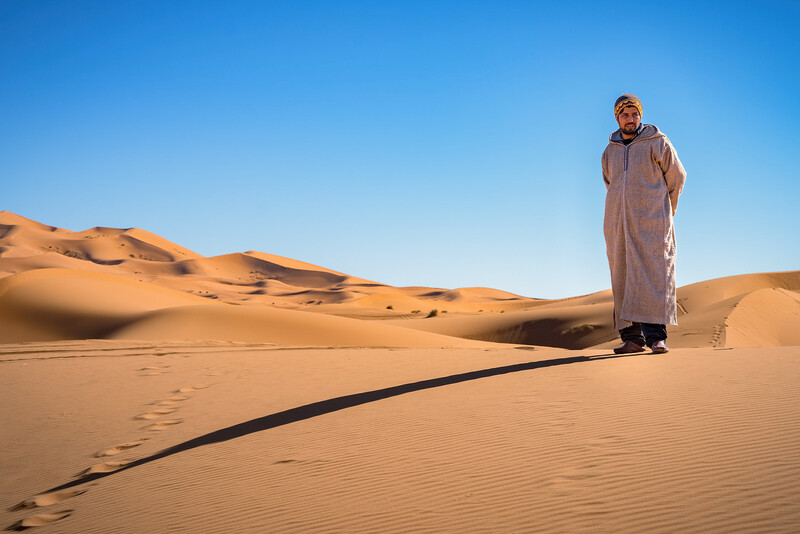 Photographing in the Moroccan Sahara is a treat not to be missed. 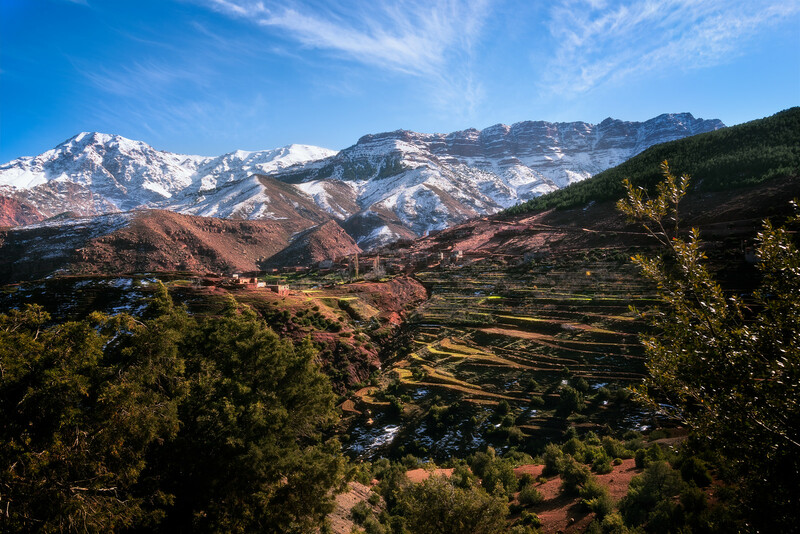 While Morocco isn’t a destination with traditional landscape photography, the country can yield amazing images for someone who uses their camera creatively. 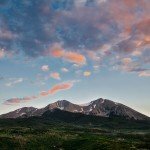 I’m looking for visual cues that make a place unique from anywhere else in the world. 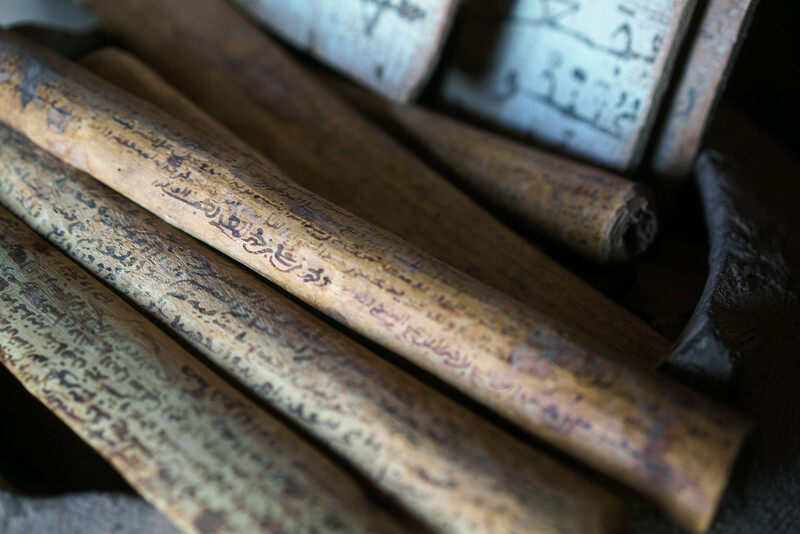 Morocco has rich detail and well preserved history everywhere you look. I’m not going to pretend to give you a history lesson here; I am a photographer and not an historian after all. 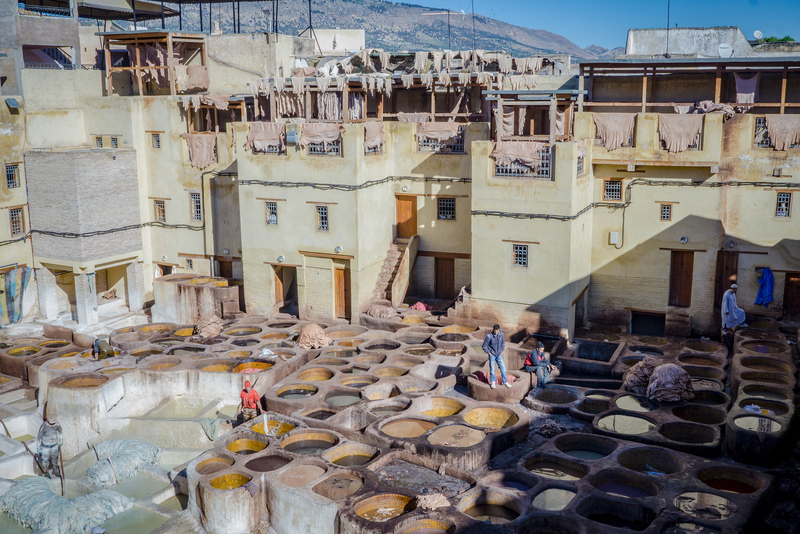 For a good selection of cultural experiences and stories to incorporate in your Morocco travel photography, spend some time at Morocco's official tourism site. 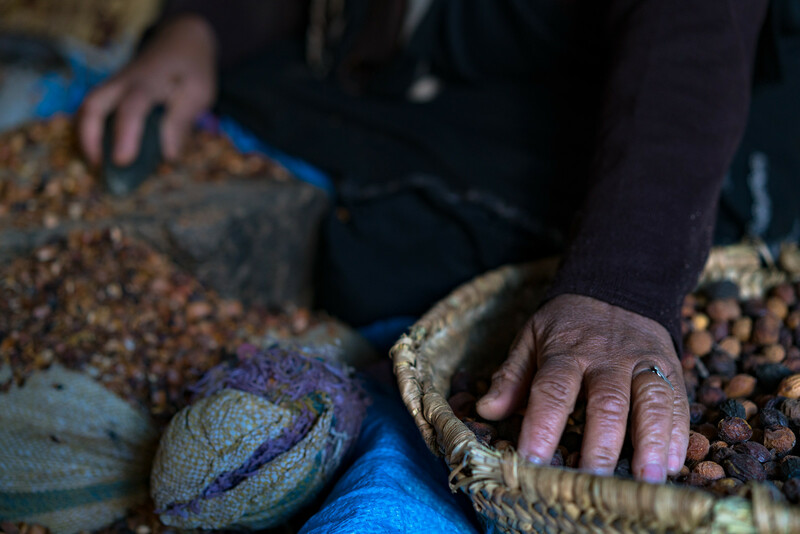 I immediately loved Morocco and that feeling stayed with me after returning home but I couldn’t quite put my finger on why. 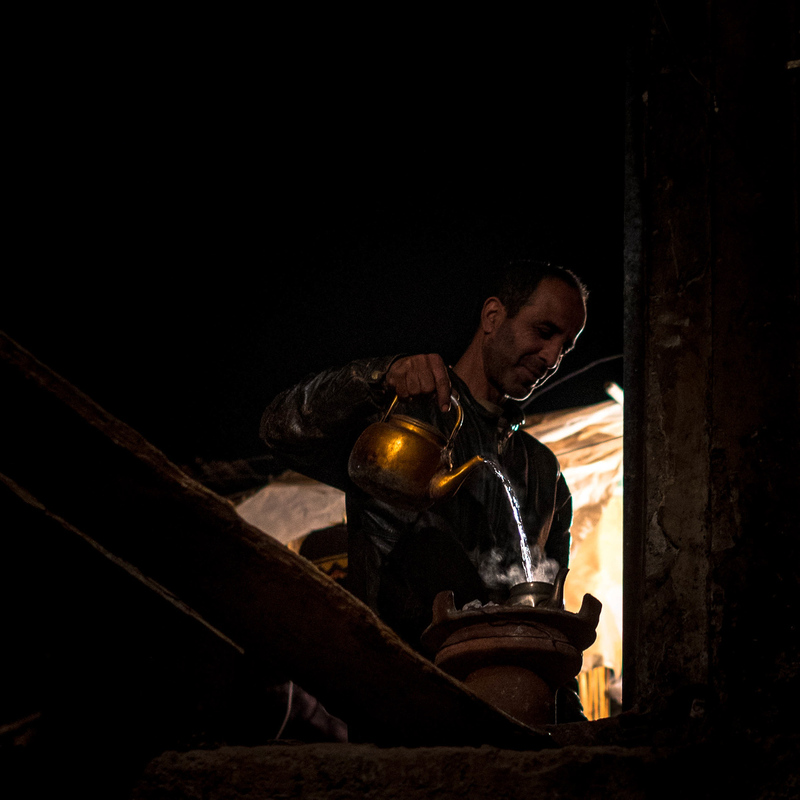 After spending some time reviewing photos that I returned home with, my affinity for Morocco became more clear. I love doing and building things myself; with my own two hands. 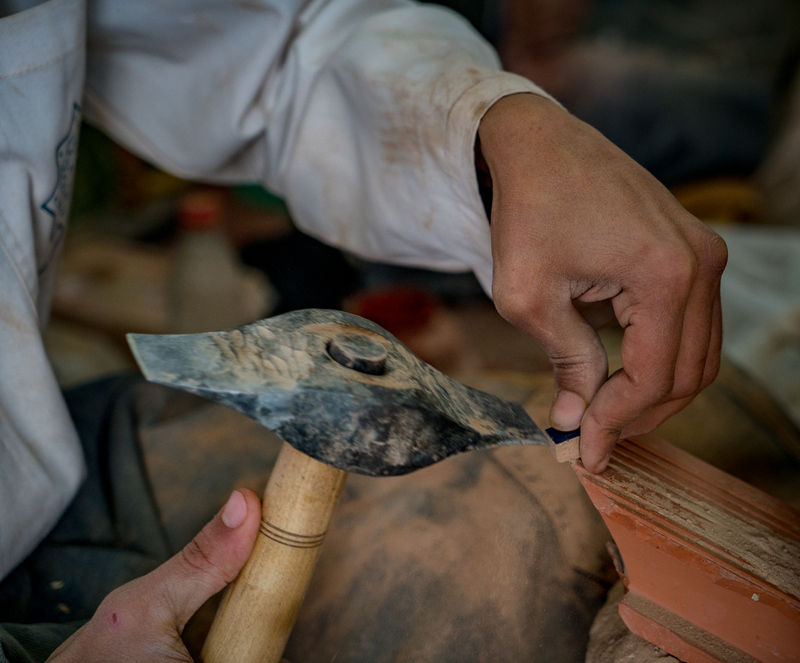 The people of Morocco do that daily with pottery and ceramics, colorful dyes for clothes, leathers, and paints for mosaics, handmade mosaics, snake charming, horse racing, unique music, unique clothing, and so many more trades and traditions unique to Morocco. 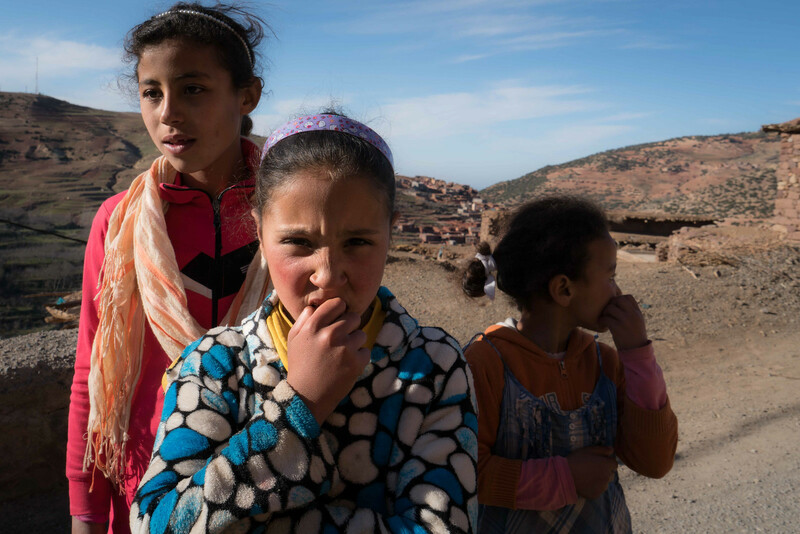 Some travelers return from Morocco lamenting that it's still rooted in old world traditions and seemingly doesn't want to move forward in time. To my eye, therein lies the charm. 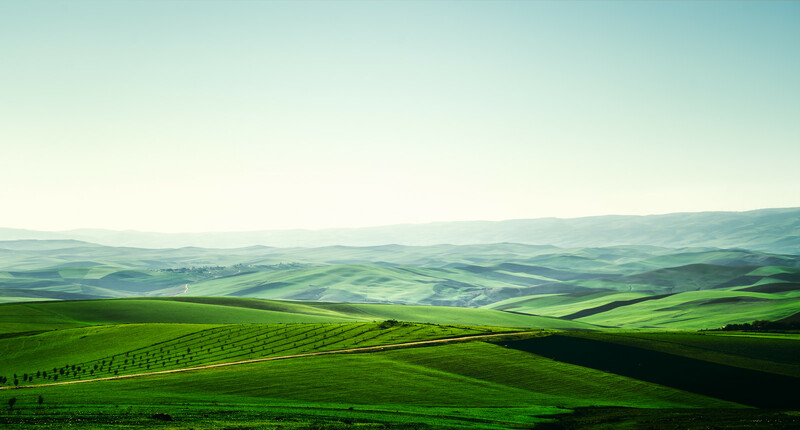 When I first get off a plane in a new country or city, my senses tell me that this place looks, smells, feels, and behaves like somewhere else I’ve been before. Maybe that’s a subconscious mechanism I’ve developed for quickly finding comfort in strange surroundings. Who knows. After a day of walking around and observing, I start to see cues about habits and rhythms, ways of behaving, pace of life, routines and how the people who live here go about their day. This is how lifestyles are different from culture. Another way of thinking about it is what the place is like after you strip away the show they put on for tourists. 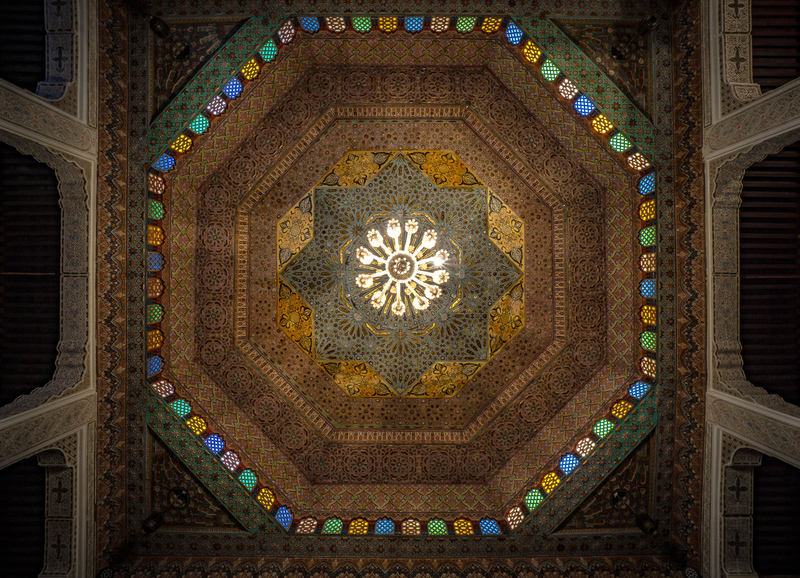 Morocco has incredible hand painted moldings and hand made ceramic mosaics everywhere. 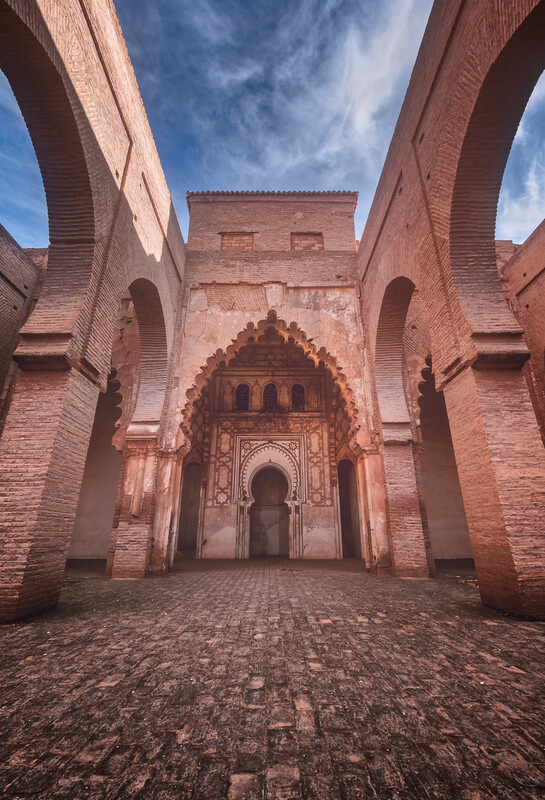 The more elaborate and colorful they are, the more well regarded the Kasbah or the Mosque is. 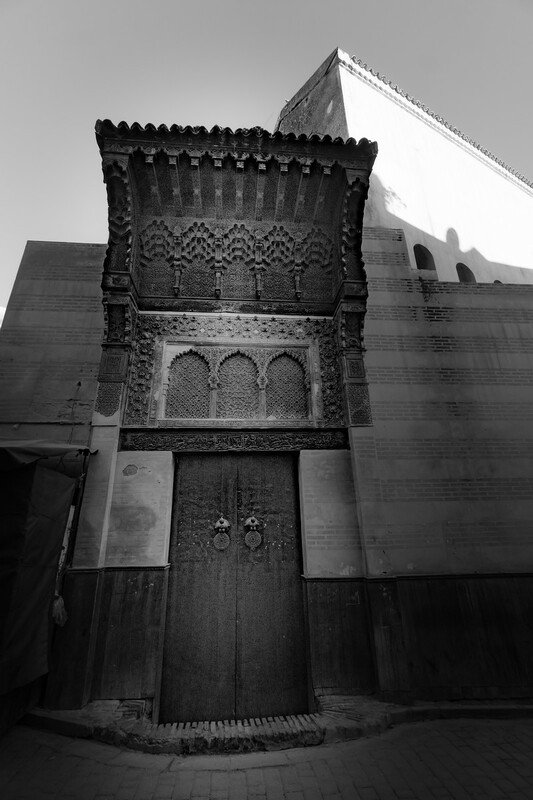 The artistry in buildings, doors, walkways, fountains and ornamentation could be a storyline of its own. 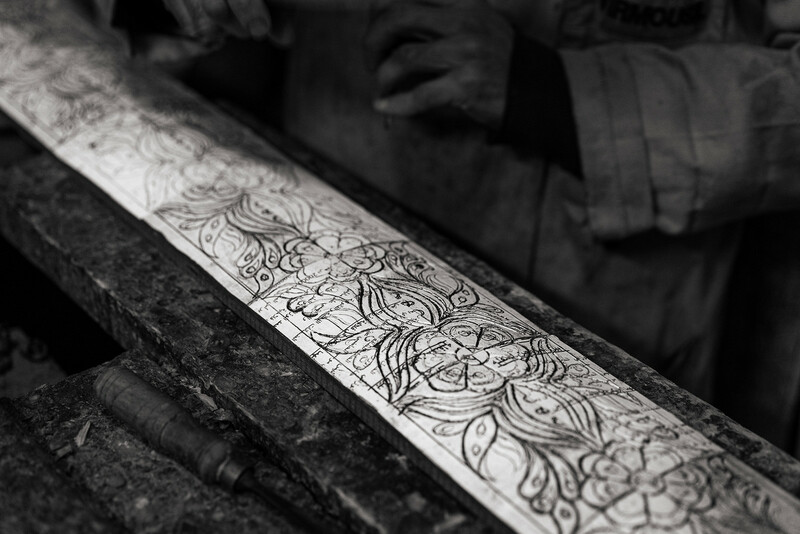 The craftsmen that make these ornamentations train at their trade many years even making it their life’s work. 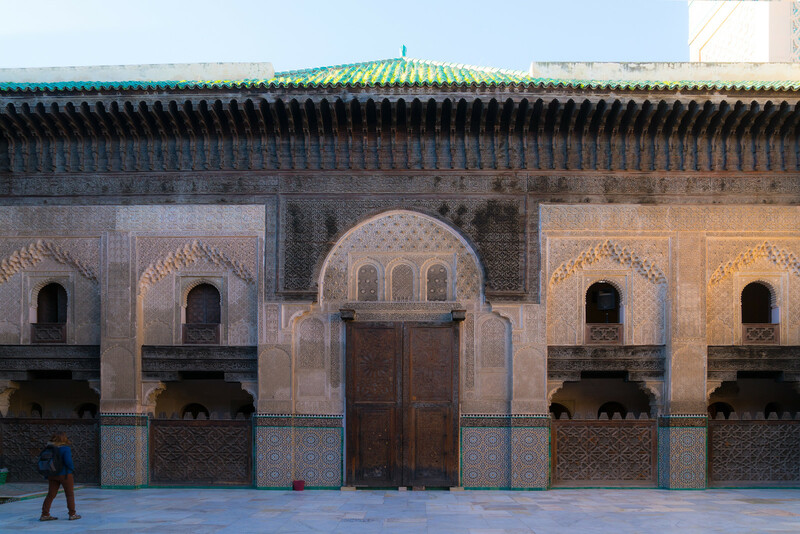 Moorish architecture is the predominant style you'll see throughout the mosques and private structures in Morocco. 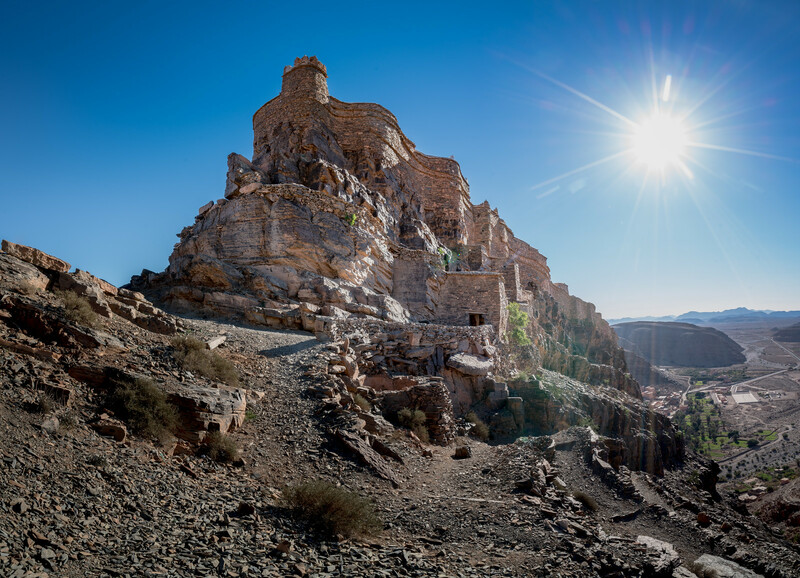 And if you get a chance to go to the south of Morocco, make sure you plan to visit the Amtoudi just outside of Guelmim. I seriously can't find a good review of the Amtoudi so I guess I'll have to write one myself complete with directions and photos and all that travel blogger nonsense everybody loves. It's a castle on a hill where all of the precious belongings were kept safe from marauders. It's pretty cool. Go see it. Many people are comfortable with being in photos. Some however are not. Always ask and get consent from those in the image before taking a photo; especially if someone in the image is recognizable. Even if a face isn't recognizable, and they know they are being photographed; consent to be in the picture is expected. You would want somebody to do the same if they were taking a photo with you in it. If you're taking a photo on the street with dozens of people in it you're not going to talk to each person of course. 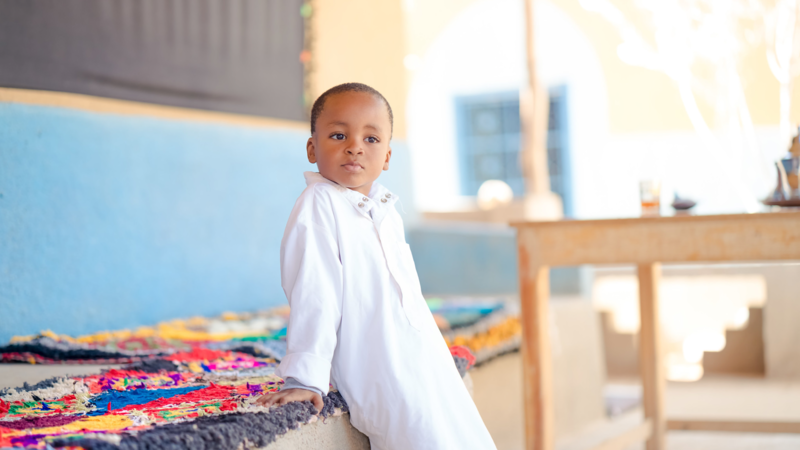 When you want to take a personal photo, spend a moment to either ask them for the photo or at least make eye contact, show them your camera and get that knowing nod that they are okay with you taking their photo. 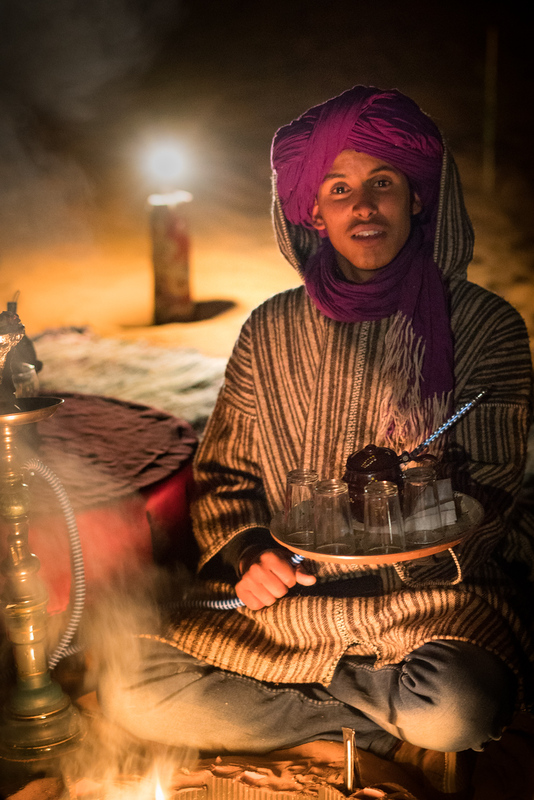 It has taken me a while to get comfortable with photographing people when I travel. 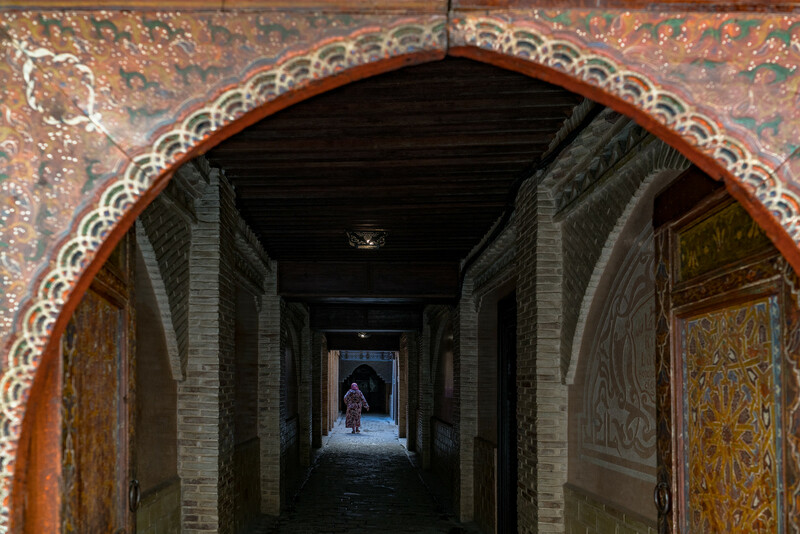 On photography tours it is common to have a "fixer". 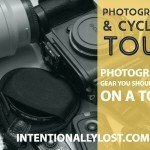 This person will set up situations for a group of photographers to take photos of a cultural event or even personal portraits. They will obtain permission from the people who are going to be in the photos. 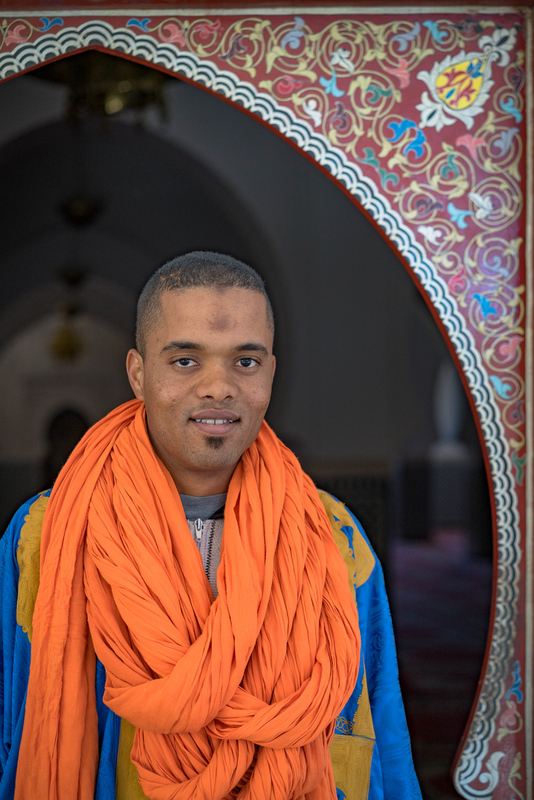 For us that local guide and concierge is Open Doors Morocco. If you are by yourself, here's a simple phrase to memorize. Can I take your photo? - Wash Yimken lli Narrud Shi Tssewwera? 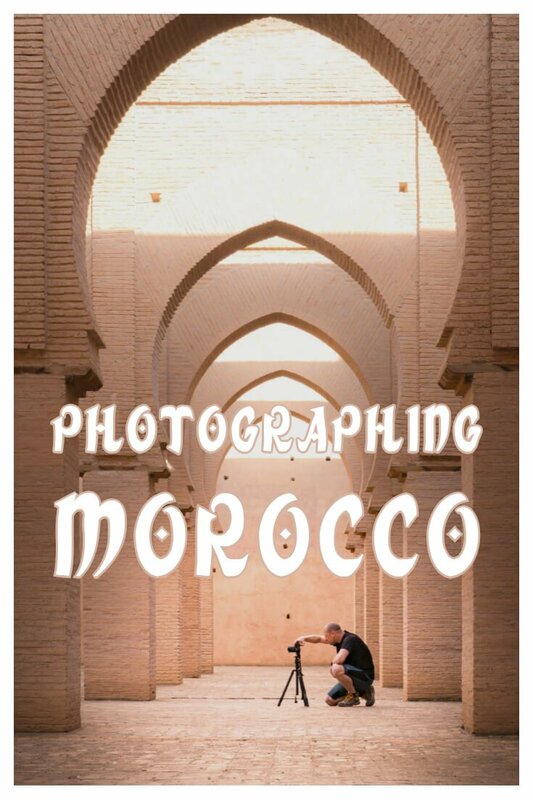 These options for Morocco travel photography are by no means exhaustive. 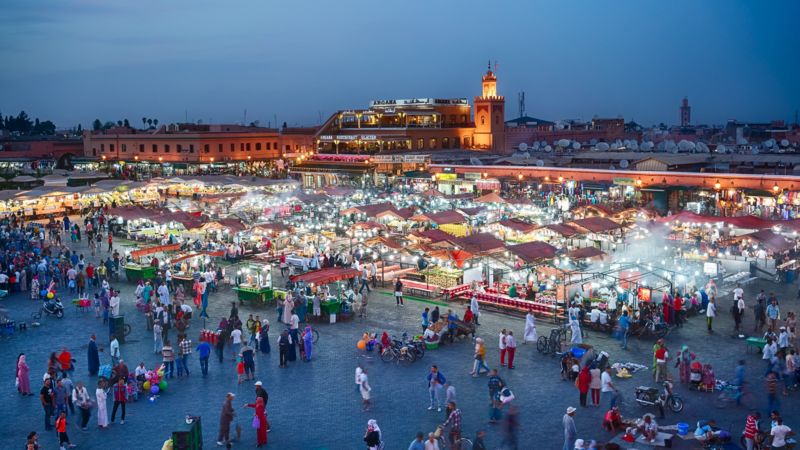 People who have traveled extensively in Morocco could certainly add many favorites to this list that I have not visited. 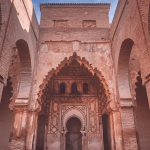 Personally I would love to spend more time seeking out cultural events and exploring the stunning architecture in Morocco. 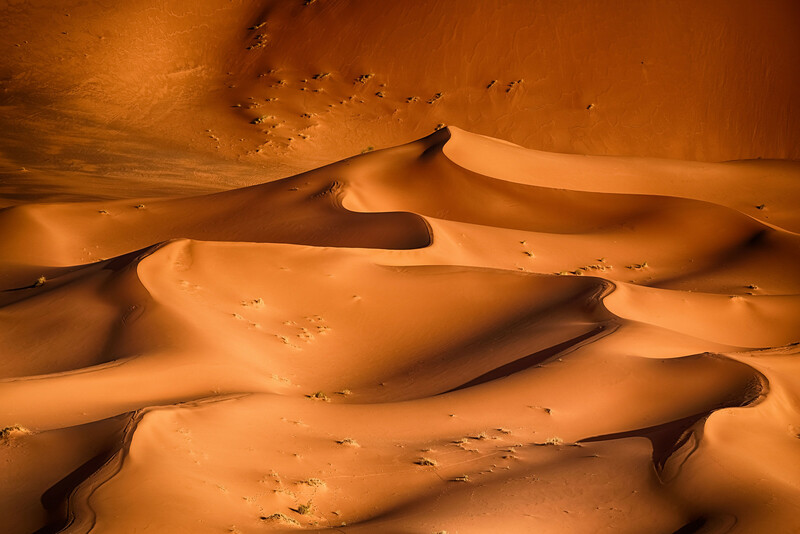 Many photographers spend entire trips in the Sahara photographing the dunes. There are so many opportunities. 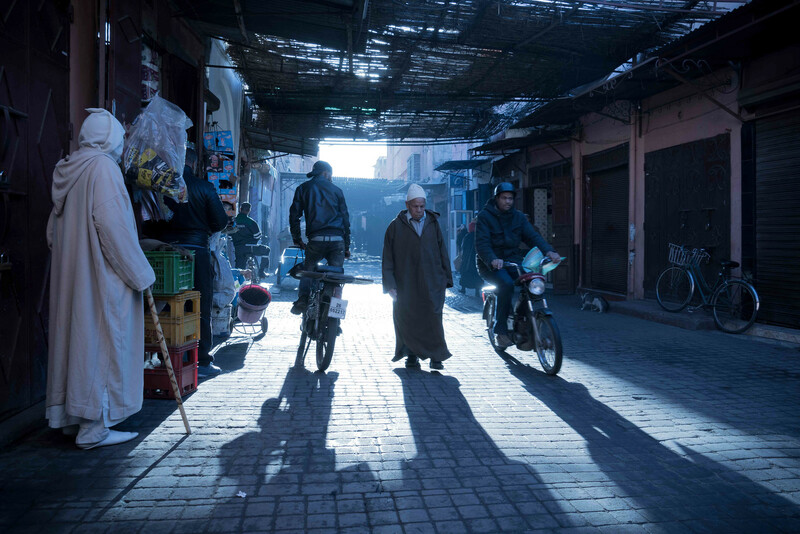 If you are a photographer who also enjoys cycling, consider joining us on a cycling vacation and photography tour in Morocco. 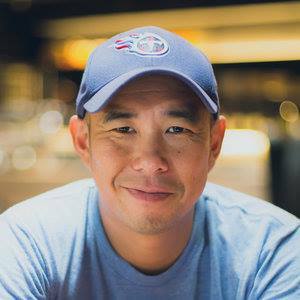 Founder and chief button pusher here at Intentionally Lost. 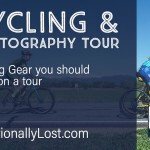 Join me on a cycling and photography adventure.